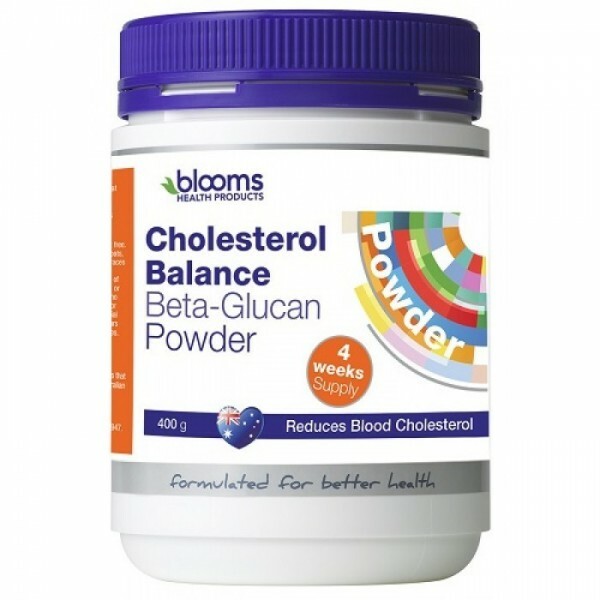 Blooms Cholesterol Balance Powder provides high quality betaglucan in a convenient powder to reduce blood cholesterol naturally. Unflavoured and unsweetened with absolutely no additives, a daily dose of 100% pure Blooms Cholesterol Balance Powder can be added to food or beverages without adding anything unnecessary into the mix. It has a neutral taste, to minimise interference with the taste of a meal. This powder has been scientifically researched and shown to reduce blood cholesterol. 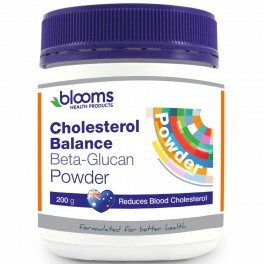 Blooms Cholesterol Balance Beta-Glucan Powder contains 22% betaglucan which is 700% the betaglucan content of plain oats. Betaglucan is a concentrated, highly beneficial soluble fibre from the oat grain that forms a gel and binds to cholesterol inside the intestinal tract. Blooms Cholesterol Balance Beta-Glucan Powder is sourced from Scandinavia and due to the advanced technology and precise processing controls, the beta-glucan has good solubility and a high molecular weight, important for gel formation to mop up excess cholesterol. 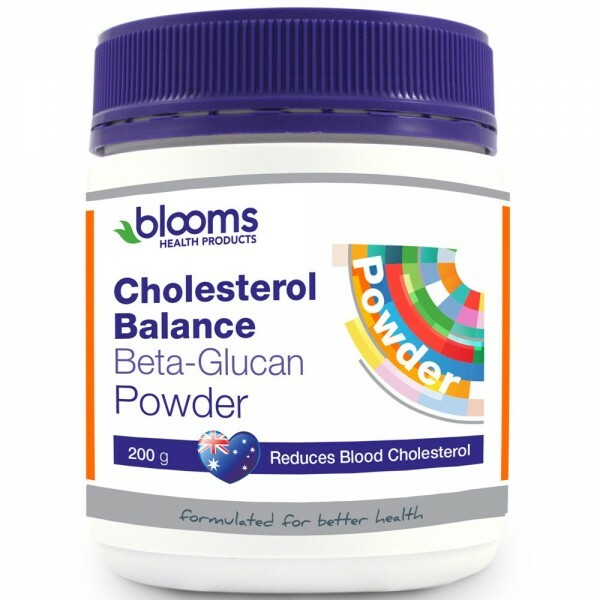 Blooms Cholesterol Balance Beta- Glucan Powder contains no colours, flavours or preservatives. This process results in a lower LDL cholesterol level and a lower total cholesterol level. A diet low in saturated fat and containing 3 g of beta-glucan per day can reduce blood cholesterol and reduce dietary and biliary (liver) cholesterol absorption. Scientifc research into the effects of beta-glucan show an overall lowering of “bad” LDL cholesterol by around 10%. The cholesterol lowering effect of beta-glucan has been demonstrated by a large number of studies over a number of years. Add 2 tablespoons ( 14 grams ) to food or beverages.